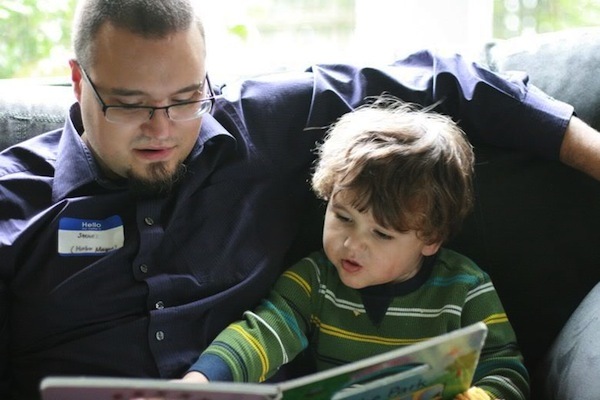 This week we asked: What does story time look like? 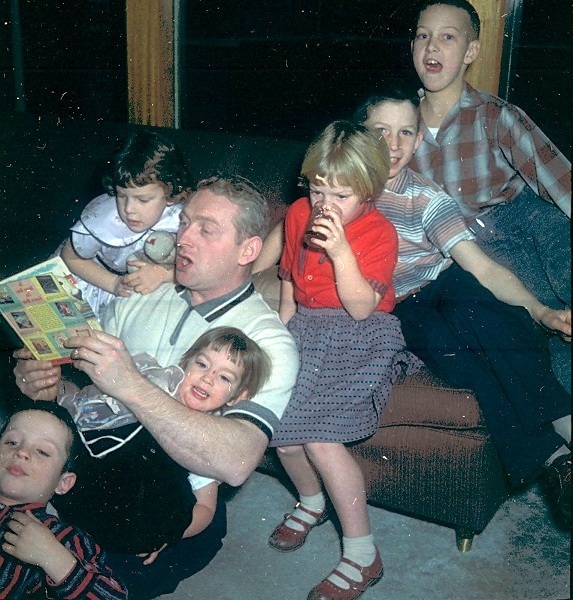 reading to his children (including her Dad), plus a couple of spares. 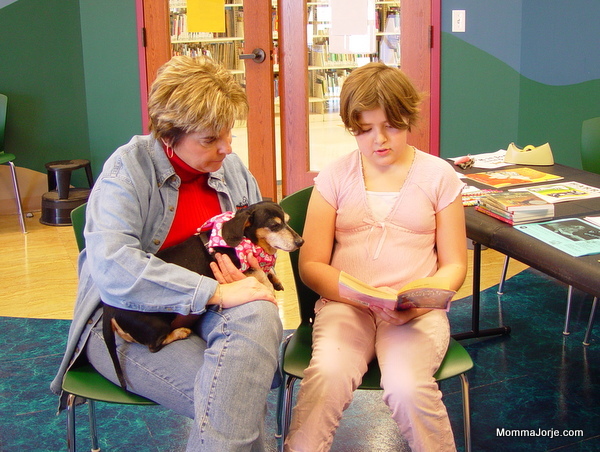 The local library has an annual event where kids can read to a dog… Tyler loved it in 2009. 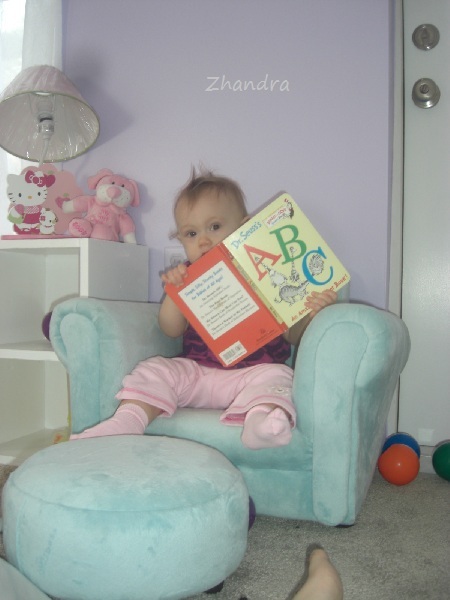 Spencer is looking like an early reader! He received this book at his 6 month well child check. 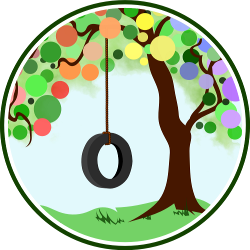 Tyler & Spencer (& Sasha)’s mommy, Momma Jorje, blogs at Momma Jorje. 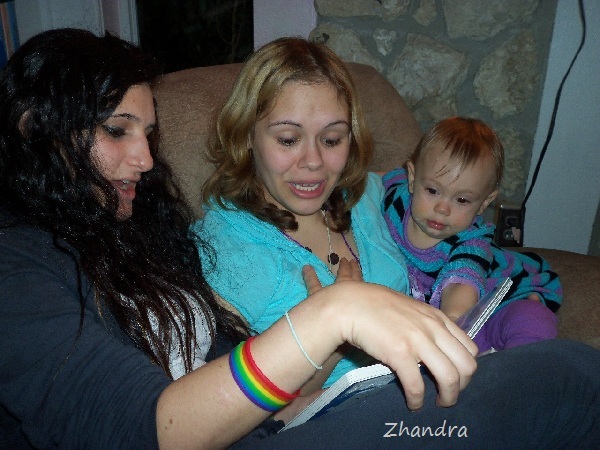 From Lauren: “We started reading with our kids when they were just babies. 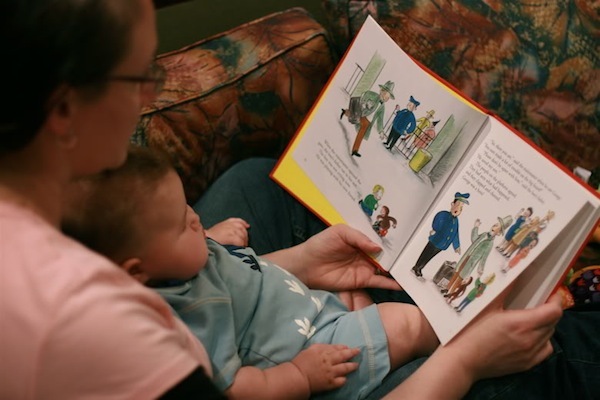 Tell us: What does story time look like in your family? LOVE that pic of Spencer!! Thanks! Me, too. 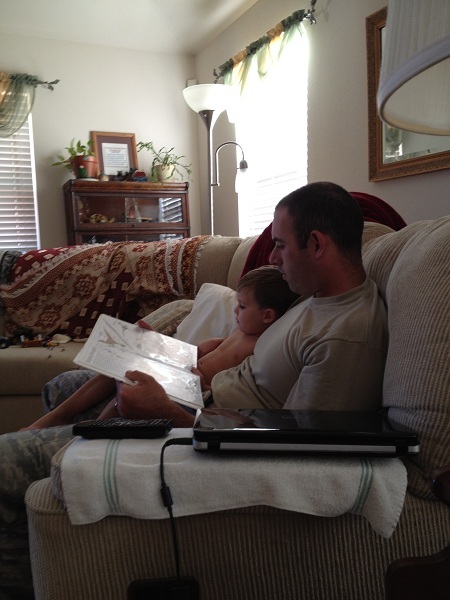 Last night I did find a photo of Tyler reading to BOTH the littles… ah well THIS pic is still really cute. 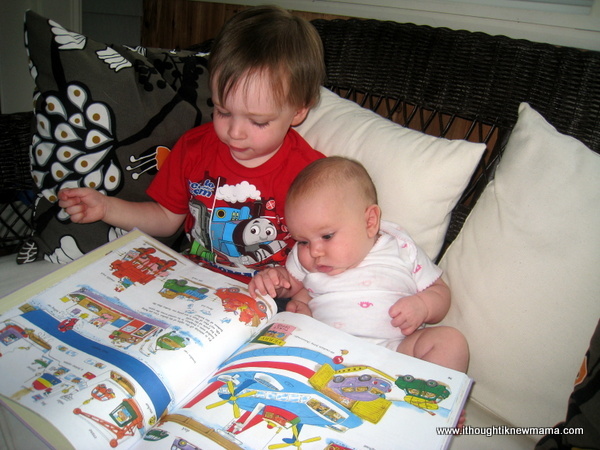 These are great pictures of young bookworms!